This is our 5% Jasmine in a carrier oil (jojoba) solution. The 5% solution is a great way to experience the aroma and healing properties of this wonderful oil at a fraction of the cost. Emotionally warming, Jasmine oil relaxes, soothes, uplifts and is said to assist with self confidence. 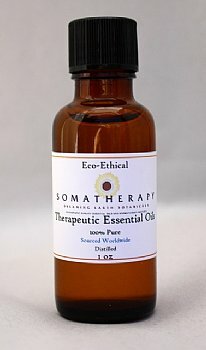 It's a valuable oil for nervous tension and stress, and a wonderful skincare oil, excellent for hot, dry skin. Jasmine has sensual properties and is reputedly an aphrodisiac. It takes a vast number of blossoms (which are gathered before the sun rises) to produce only a few drops of this precious oil. Fill some 10ml Roll On Bottles with our 5% solution, and you have luxurious, all-natural perfume! These make beautiful gifts.